Iowa DOT maintenance decision makers are using an automated, web-based tool to help them evaluate the amount of salt used on roadways during snow and/or ice events. According to Tina Greenfield, RWIS coordinator in the Office of Maintenance, information provided by the online Salt Dashboard is incentivizing DOT garages to use their salt resources more efficiently. The targets are then compared to the amount of salt actually used by each garage during the event to calculate the “% of target used.” At a glance, garages can gauge their salt use performance. Anything over 100% of target used indicates there may be a problem, providing an incentive to adjust policies and/or practices in ways that reduce salt usage. 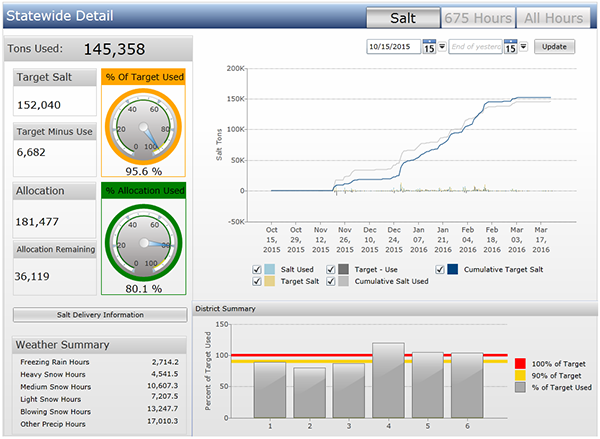 The Salt Dashboard also provides district- and statewide calculations so that salt usage performance can be evaluated on a larger scale. Jack, Transportation Information Group Manager at the Alaska Department of Transportation and Public Facilities, joined Aurora in 2005. 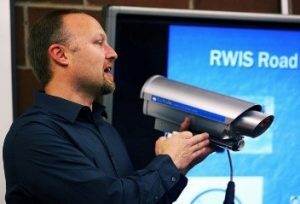 He has been active in Aurora projects, including one providing information about building RWIS stations with off-the-shelf components. Perhaps most important, he has actively advocated for Aurora’s priorities at the national level. For example, he has been Aurora’s voice on TRB Committee ABJ20, Statewide Transportation Data and Information Systems, and in turn has shared information from that committee with Aurora members to help inform their activities and priorities. When ideas for critical research exceeded Aurora’s funding abilities, Jack has been helpful in obtaining NCHRP sponsorship. Curt, RWIS Coordinator in the Minnesota DOT’s Office of Maintenance, joined Aurora in 1999. He became the chair of Aurora during its early years when it was focusing on some basic, “building block” projects, such as developing guidelines for RWIS data integration and sharing. According to Lee, Curt has taken every opportunity to advance Aurora’s agenda. A prime example is his representation, along with Lee, on the National Research Council’s Committee on Weather Research for Surface Transportation, which developed the seminal 2004 report Where the Weather Meets the Road, A Research Agenda for Improving Road Weather Services. According to Lee, since the report was published, both TRB and Aurora have been incorporating its suggestions into their annual research programs. Lee said, “Curt has brought these suggestions to Aurora meetings with a background of winter in the lower 48 states, while Jack has been doing likewise for the Alaska climate and terrain.” As a result, advancements in RWIS research and technologies are facilitating smoother traffic flow during inclement weather across the country and doing so in the most environmentally friendly manner possible . So long, Curt and Jack, with great appreciation and the very best of wishes. According to Jeff Williams, chair of the Aurora pooled fund group, the advice he receives from other Aurora member states is invaluable. Jeff is Utah DOT’s RWIS manager and meteorologist in the agency’s Traffic Operations Center. He cites other benefits of Aurora membership: the cost savings states experience by pooling funds and tackling similar challenges and research needs. 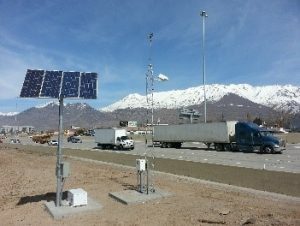 Activities of Utah DOT’s Weather Group often dovetail with Aurora’s interests and needs. For example, the Weather Group has been developing a Snow and Ice Performance Measure. This measure will indicate a snow plow’s level of performance given current storm intensities. An automatic storm identification system logs historical weather information and camera images. Aurora is interested in making the framework and algorithms available to member states and supporting future enhancements. Liping Fu and his team at the University of Waterloo (Ontario) has recently completed an Aurora project to identify effective approaches for determining optimal location and density of RWIS stations in a region or on a highway network. Through four case studies in Iowa, Minnesota, Utah, and Ontario, three proposed approaches or models were examined. All three approaches utilize a grid defined over the highway network/region of interest. All three proved to be acceptable, convenient alternatives, depending on agency resources and the availability of data. The first approach is a surrogate measure method. This model prioritizes locations for RWIS stations based on weather factors and traffic patterns for cells in the grid. The second approach is a cost-benefit method. This method assigns life-cycle benefits and costs of installing RWIS stations at candidate locations on the grid. The main challenge of this approach is the feasibility of defining and quantifying life-cycle costs and benefits at various locations. The model must be calibrated to account for differences in variables such as collision frequency and maintenance costs at different locations. The third approach is the spatial inference method. This method focuses on maximizing the overall monitoring capability of an existing RWIS network through redesign or expansion. This method is more comprehensive than the other two but requires less data and can be generalized to other regions. These three approaches are useful tools for highway agencies to use in optimizing their RWIS networks and maximizing the return on their RWIS investments. For more information, contact Rick Nelson. This webinar will focus on rapid changes in the surface transportation maintenance and operations workforce. Find more information and register at http://www.trb.org/Calendar/Blurbs/174552.aspx. For more information, contact Neal Hawkins.